Huge power gains of 29hp and 30 ft-lbs. of torque give you a big advantage over stock ATS owners. An intake is one of the first mods you should consider for your car. 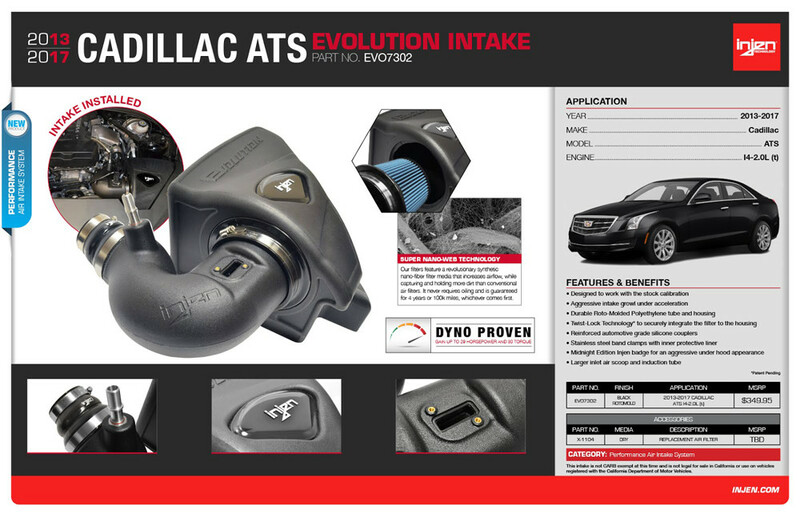 Intakes are a great value because they give you extra power, aggressive sound, and a stylish addition to your engine bay. All this in a product that is inexpensive and easy to install. This Injen EVO intake for the Cadillac ATS is no exception, offering huge power and excellent build quality at a competetive price point. Gains of 29hp and 30 ft-lbs. of torque is roughly a 13% improvement over stock, giving you big passing power and acceleration. 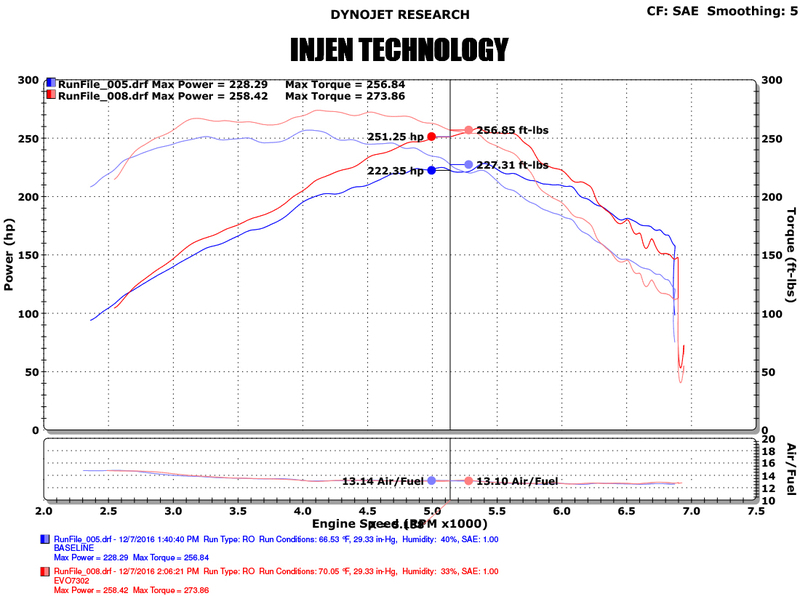 The secret to Injen's big power gains on this intake come from their expert engineering and high quality materials. The roto-molded intake tube gives an OE quality fit and smooth airflow make sure you're getting the maximum airflow from the filter. The SuperNano-Web™ filter is designed to increase airflow but filter out more dirt and dust than a conventional filter. The roto-molded housing uses the factory ducting and integrates flawlessly while insulating the incoming air from the heat of the engine bay. All these combined give you big power a great driving experience. You'd be amazed at how such a simple mod can make you more excited to driv your car.